Salford, UK. 16 January, 2014. Demand for convenience foods in both Europe and Asia is growing strongly as consumers seek convenient, on-the-go products perfectly aligned with their hectic modern lifestyles. Food producers seeking to tap into this lucrative market are greatly expanding the range of products they produce on their processing lines, necessitating the installation of flexible product inspection solutions. For this reason, Mettler-Toledo, a leading global manufacturer of precision instruments, is seeing strong demand for its Safeline Profile Select variable frequency metal detector, due to this detector’s ability to inspect multiple types of products on one single line. This supports food producers as they increase the quantity and variety of products they are producing and inspecting for metal contaminants. Designed with flexibility in mind, the Profile Select’s unique Product Clustering Function allows food producers to run their processing lines at optimal speeds, as they can use a single detection frequency setting for groups of multiple products with similar moisture content. Simplified product changeovers further support this flexibility, reducing downtime and the risk of operational error. Visual vector diagrams are displayed, demonstrating the signal generated by each product, as well as the active product inspection settings in use. This facilitates product set-up for operators, allowing them to easily tune the metal detection settings to ensure accurate results. 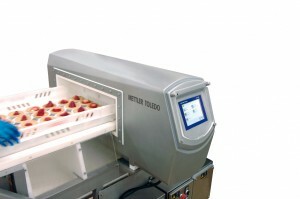 With its advanced Variable Frequency technology, the Profile Select can also ensure optimised product inspection sensitivity for both dry and wet products such as meat, cheese, frozen and semi-frozen ready meals, ensuring compliance with food safety standards and protecting brand reputations. With the impact of international regulations such as the British Retail Consortium (BRC) Global Standards Version 6 and International Featured Standards (IFS) Version 6, product safety and security are clearly core priorities for food manufacturers. For this reason, the Profile Select incorporates key elements of HACCP (Hazard Analysis and Critical Control Point) food safety principles, with its Human Machine Interface (HMI) requiring dual-level user name and individual password login. This ensures only authorized staff can alter machine settings and access the contents of the lockable reject bin. In addition, the Profile Select’s sophisticated Performance Validation Routine (PVR) guides operators through mandatory test regimes to ensure test accuracy while enhanced on-screen HACCP reporting software ensures compliance with regulations by facilitating data access and analysis in the event of an audit. Mettler-Toledo Safeline is the world’s leading supplier of metal detection and x-ray inspection solutions for the food and pharmaceutical industries. Together with GarvensCheckweighing, CI-Vision and Pharmacontrol Electronic GmbH (PCE), Mettler-Toledo Safeline forms the Product Inspection division of Mettler-Toledo. For more information on the Safeline Profile Select metal detector or any aspect of metal detection procedures and technology, call Jonathan Richards, Marketing Manager of Mettler-Toledo Safeline Metal Detection on +44 (0)161 848 8636 or email [email protected].